Conservation education has been a very important activity in our holistic approach. This activity is connected to one of our holistic approach which is the community development. The purpose of this program is to promote awareness about conservation at early stage to young generations. 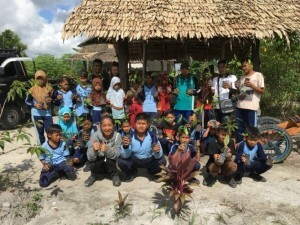 This conservation education program is open for any school from pre-school to high school whose willing to learn about conservation and basically run as part of their extracurricular where the children get the opportunity to directly involve in conservation activities such as planting trees. They also learn about various kinds of forest trees, their benefit and the importance of wildlife conservation and their habitat. 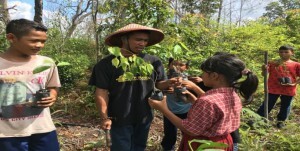 One of the recent conservation education was held in Jerumbun. In these event, FNPF team up with F.C Manis which is an NGO from Japan and also with help of our volunteer to make this activity possible. In February 2016, FNPF and Manis Group held this activity twice on February 6 (SD and SMP Sekonyer) and on February 18 (SDN Kumai Seberang). Desuden, this event would not be possible without the constant support from our donors such as Humane Society International of Australia and The Boeing Company. 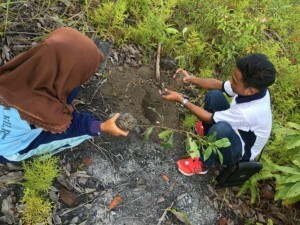 The student learning how to plant the trees. 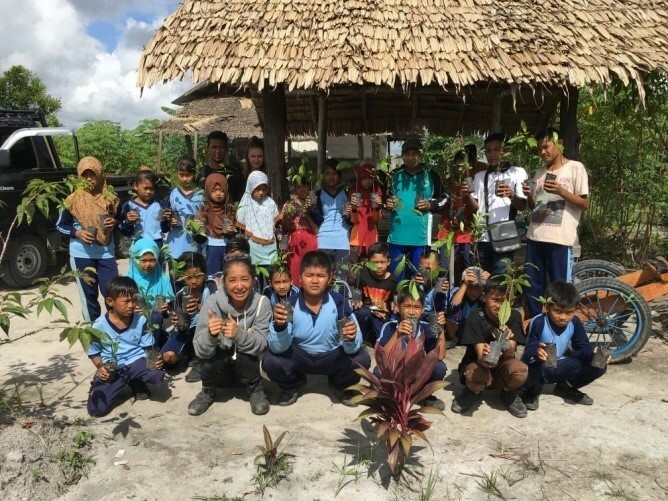 Conservation education program is important for young generations because first of all, they could learn about the native species of plants that many people do not know about. Second of all, outdoors activities are very important as many young generations nowadays tend to spend so much time indoor on electronic media like television, video games or social media. If young generations never interact with the nature, how do we expect them to take care of it? Introducing young generations to conservation also will open their minds and develop their way of thinking about the ecological problems and hopefully find solutions later for the complexities of these problems. Find out on how to help us on our projects in Borneo by Clicking Here!